A salt water pool isn’t better than a chlorine pool because it IS a chlorine pool. A saltwater pool system is the same thing as a salt “chlorine” generator/salt water chlorinator. 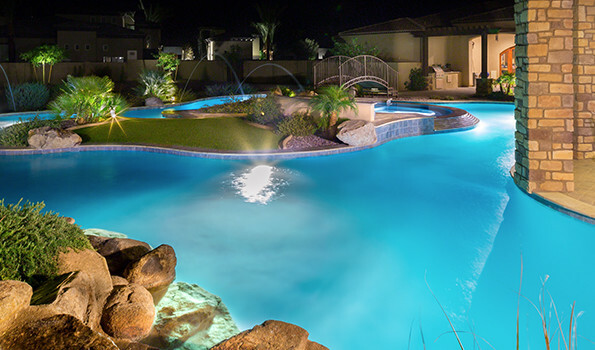 Saltwater pools electrically convert the pool salt into chlorine. Rather than use chlorine tablets, dissolved salt is used to both clean and sanitize your pool. Not only is this way of cleaning the pool more budget-friendly, but saltwater pools also often require less maintenance than a chlorinated pool. What many people don’t understand, however, is that saltwater pools don’t leave you with the “feel” of just emerging from the ocean. In fact, saltwater pools still have chlorine in it since chlorine is a byproduct of salt! But the major benefit of saltwater is that you’re able to reap the benefits of a chlorinated pool without using as many chemicals. Because of this, these pools are thought to be safer for the skin, hair, and less damaging to our bathing suits than chlorine. Chlorinated pools are much better at clearing up bacteria in the water than salt water pools. Chlorine also cleans pool water much faster than salt. It’s also faster to act if there are bacteria present, or if the pH levels happen to be off. Clearing up the water is also significantly faster, taking only a day or two versus 3 to 5 days. Here’s another advantage that makes chlorinated pools a winner in many households: they’re easier to operate. All you need to do is add some tablets to your pool system and your pump or a floating disbursement device will spread it through the water for you – it doesn’t get easier than that!